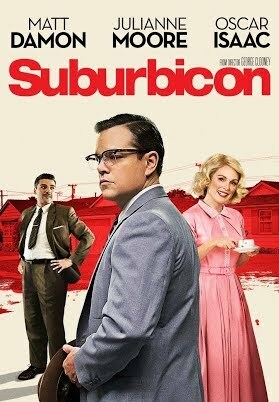 From director George Clooney, the small idyllic town of Suburbicon is the perfect place for Gardner Lodge (Academy Award® winner Matt Damon) to make a home. But beneath this tranquil surface lies a disturbing reality, where nothing is as it seems. When a break-in leads to the shocking murder of his wife, Gardner must navigate the town’s underbelly of deceit and violence to protect his family from further harm. Academy Award® winner Julianne Moore and Oscar Isaac also star in this darkly comedic, suspenseful thriller that will keep you guessing until the very end.